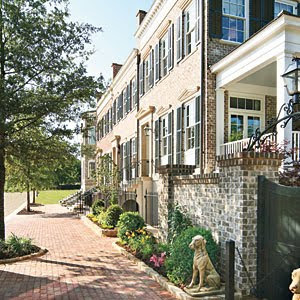 Brandi Nell the Southern Belle: Southern Living Idea House... SWOON! Happy Friday! Sorry its been over a week since my last post, but I really haven't had anything new to share with you guys in regards to the house. The hubs and I needed a weekend to just relax, so we did exactly that. Perhaps this weekend, we will get something accomplished. But, I do have something to share with you guys. On Wednesday, some industry colleagues and I had the opportunity to go to Senoia, Georgia and visit the Southern Living Idea House. After spending the afternoon in this super charming town and touring this house - I am all ready to move in! This house makes me SWOON! They were so creative throughout. My favorite idea? Check out the calendar in the family room. 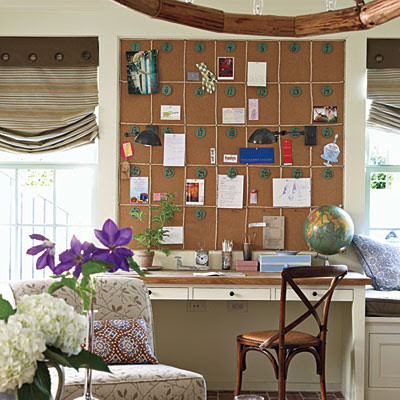 I am dying to do this in my "one day home office." So super smart and very cheap to do. You know what else surprised me? Much of the furniture comes from IKEA! I think even the cabinetry in the kitchen and scullery (that's right - this house has a scullery) came from IKEA. Wednesday - Saturday 11:00 a.m. - 5:00 p.m.
Oh, and I definitely scored an amazing deal yesterday on bedding! Found THE quilt I have been searching for at the steal price of $30.00! HOORAY! Now the search for cute pillows, sheets, accessories begins. Hope y'all have a great weekend! Talk soon, friends! 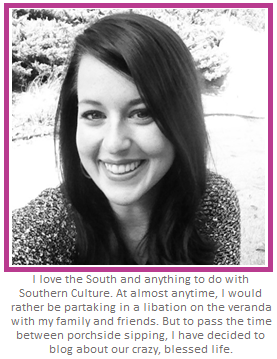 Thanks so much for stopping by my blog and leaving such a nice comment. I've just spent the last little while looking at your beautiful blog and have been inspired by all your creations! You've finished some fabulous projects! I can't wait to see more. Wish I could check out this house, but it's a bit of a drive from Colorado!